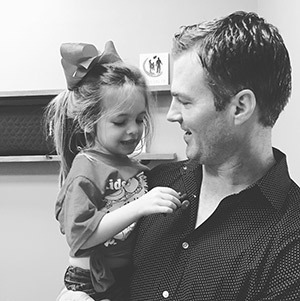 At ProHealth Chiropractic Center, Corsicana chiropractor Dr. Judd provides care with a strong focus on families. When you walk into our office, you’ll see a family adjusting room complete with a kids’ fire truck adjusting table. Our techniques are safe, comfortable and effective for all ages, including children and expectant moms. Each method is selected based on your age and condition, but all are focused on eliminating subluxations that interfere with optimal nervous system function. Along with chiropractic care, Dr. Judd may give you exercises, nutritional counseling or lifestyle advice to assist in your recovery. Gentle chiropractic care using the lightest touch allows your baby or child’s body to work at its optimal potential, just as it was intended. We welcome you to contact us today for a free consultation and find out more about how we may be able to help improve your family’s life.